The enticing smell of smoked meats in the air with some Busta Rhymes playing in the background was the start of an amazing Saturday afternoon. 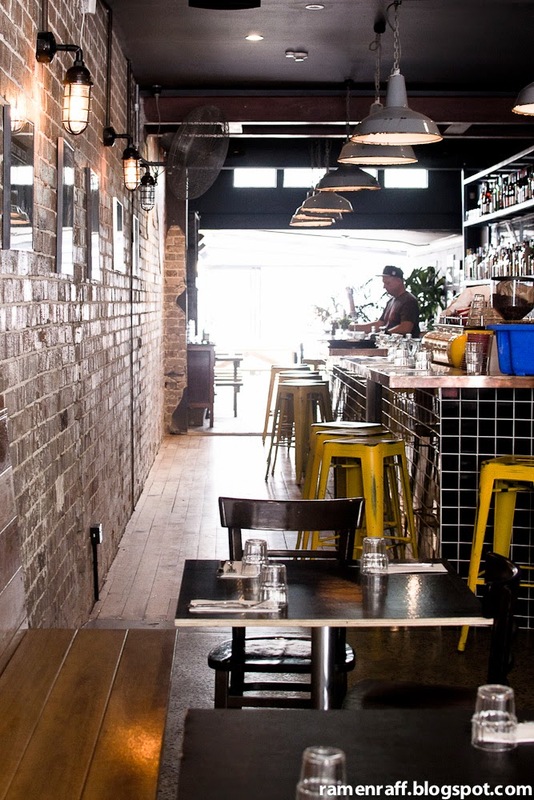 I really enjoyed my recent visit at a new joint in Bondi called Two and Twelve. 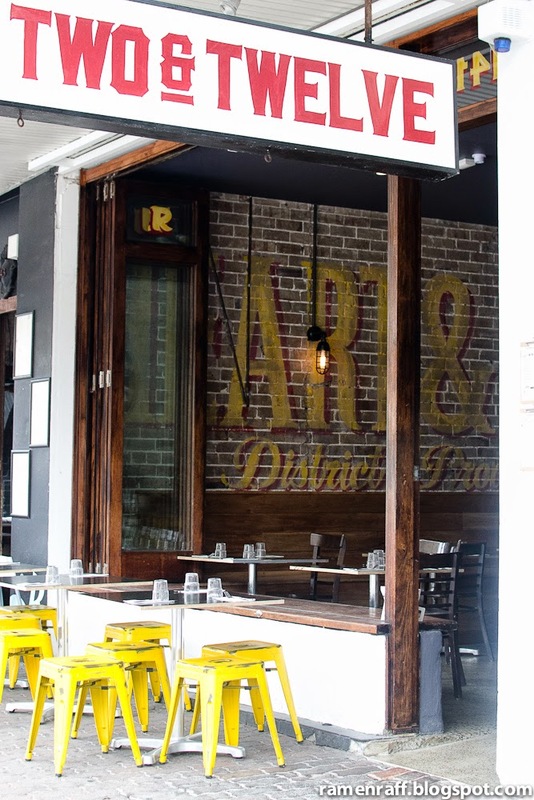 They're a smokehouse and grill restaurant located on Curlewis Street. 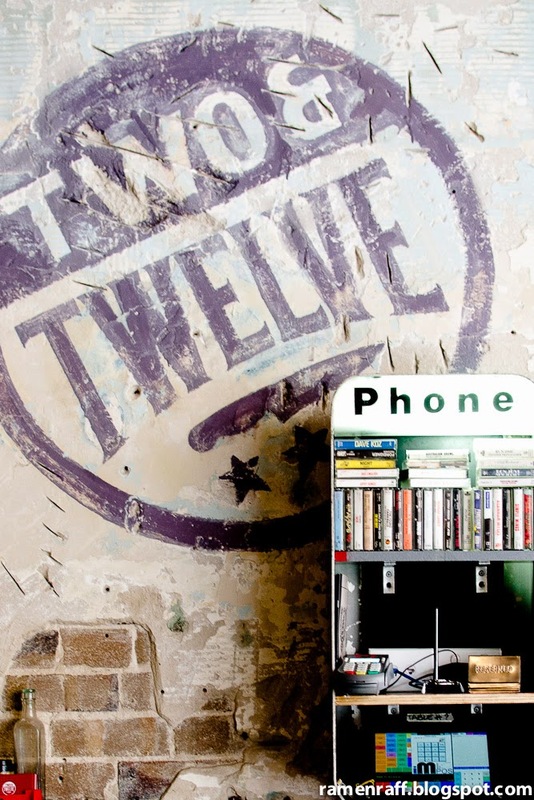 Two and Twelve has an industrial fit out with a fresh urban vibe. 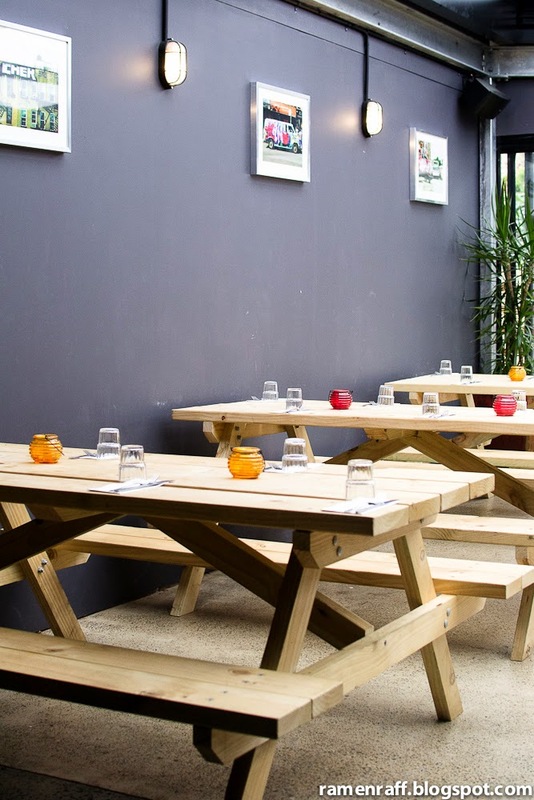 They specialise in deli-style sandwiches, Cajun cuisine and Southern-style smoked meats cooked low and slow. 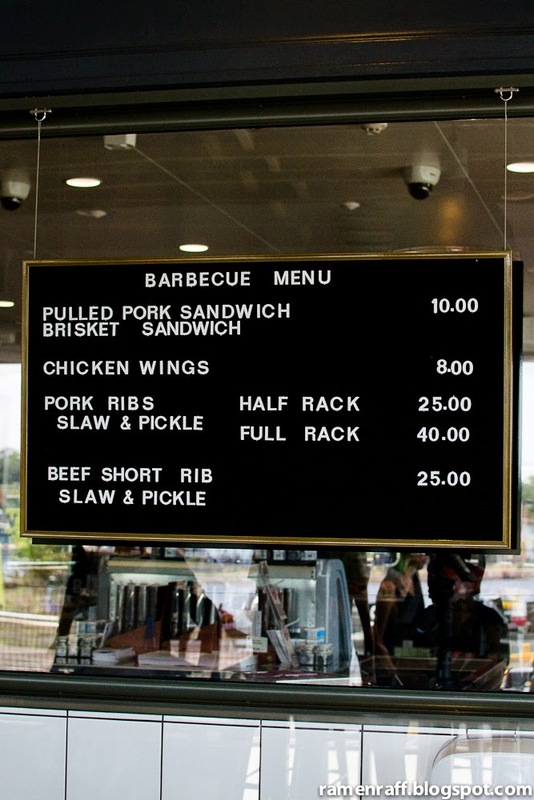 A range of meats like beef brisket, snags, pork ribs, chicken and pork belly are available. 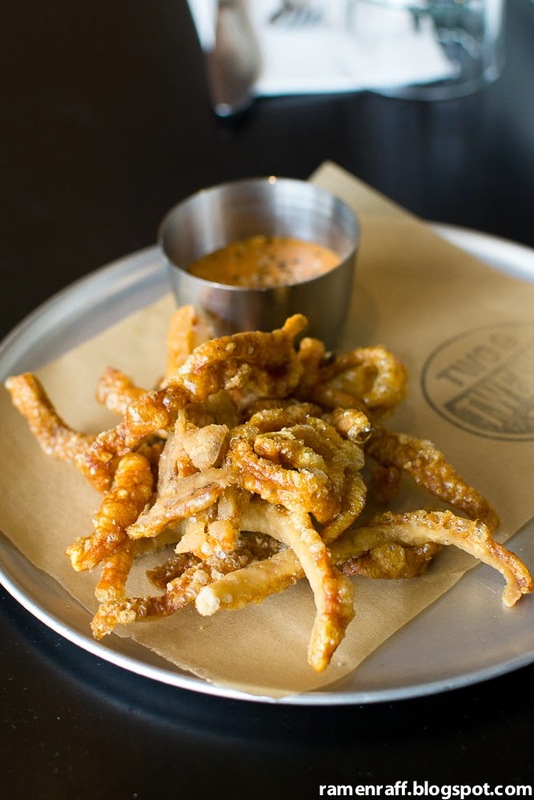 We started with some complimentary pork crackling with gochujang mayo. The strands of crackling were perfect with tasty fatty bits! 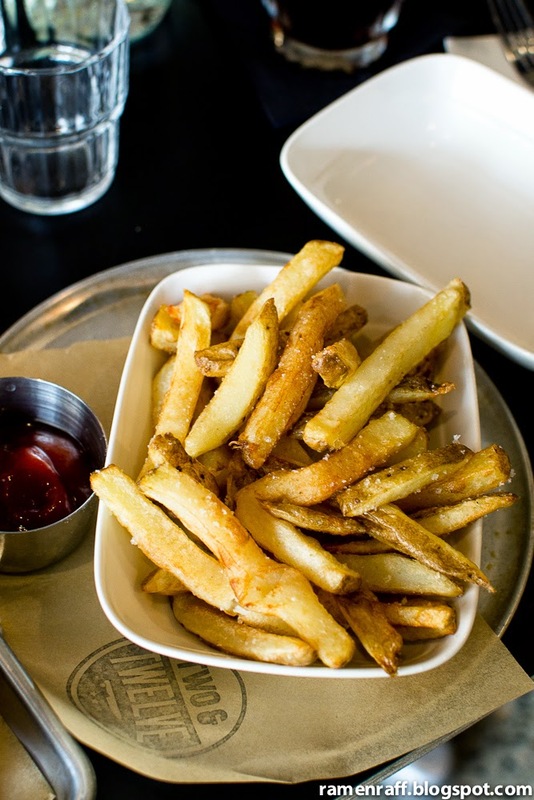 The touch of the smoky chilli salt and gochujang mayo for dipping was highly addictive! 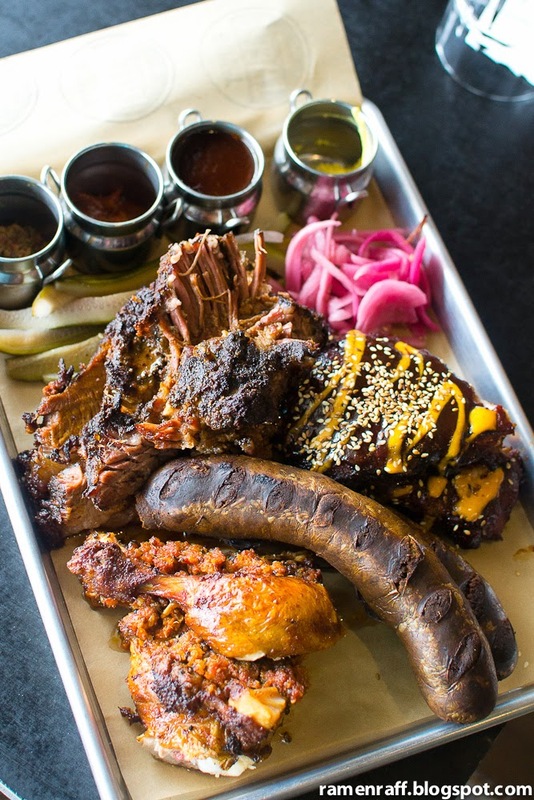 Then the platter of smoked BBQ meats ($84) came out and it was game on! It consisted of generous amounts of beef brisket, pork ribs, smoked chicken, and Louisiana boudin. 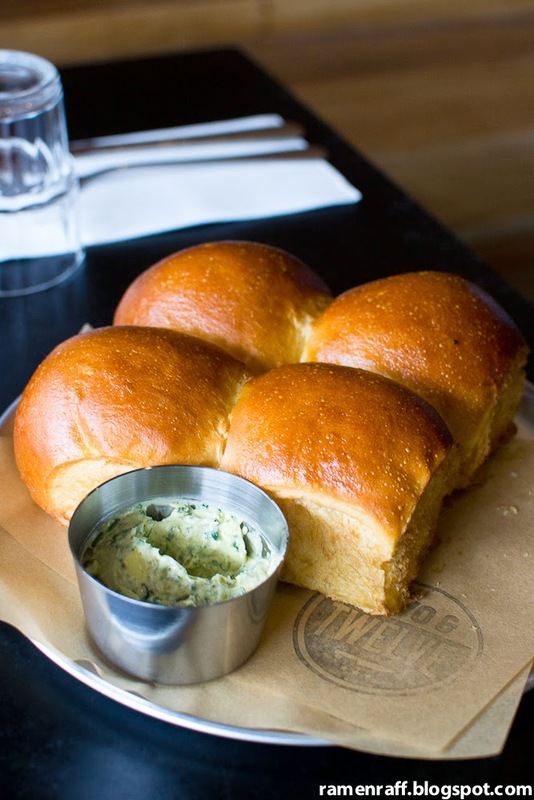 It also came with pickles, milk buns, pepper jack butter, bourbon bbq jus and other condiments. 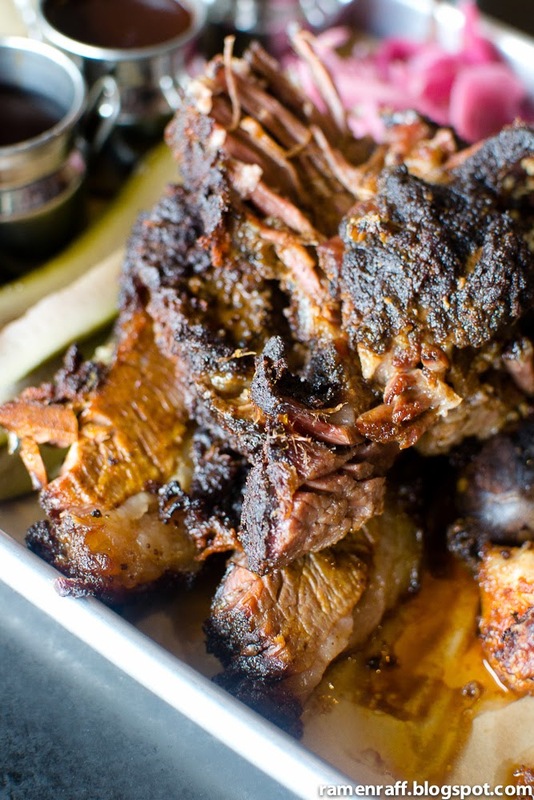 The brisket was ridiculously melt-in-your-mouth tender, fatty and smoky. It also had nice crispy caramelised bits that added some sweetness to the brisket. It was my favourite out of all the meats. 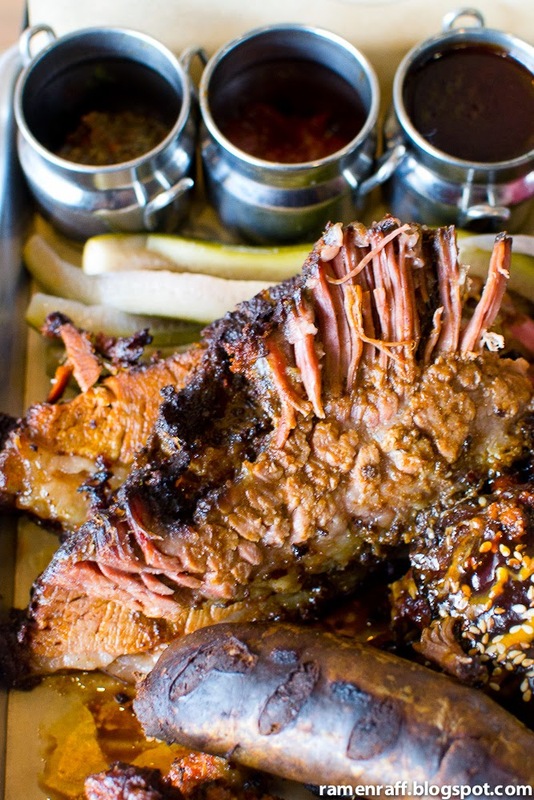 I suggest pouring bourbon bbq jus on the brisket for extra smokiness and kick. The pork ribs meat was so tender too that they easily fell off the bones. The bbq sauce used for the ribs was tasty, tangy and sweet. The chicken thighs and drumstick were succulent and smoky as well. I also really like that they served some of the delicious stuffing! The Louisiana-style smoked boudin sausage had a flaky-like textured filling. 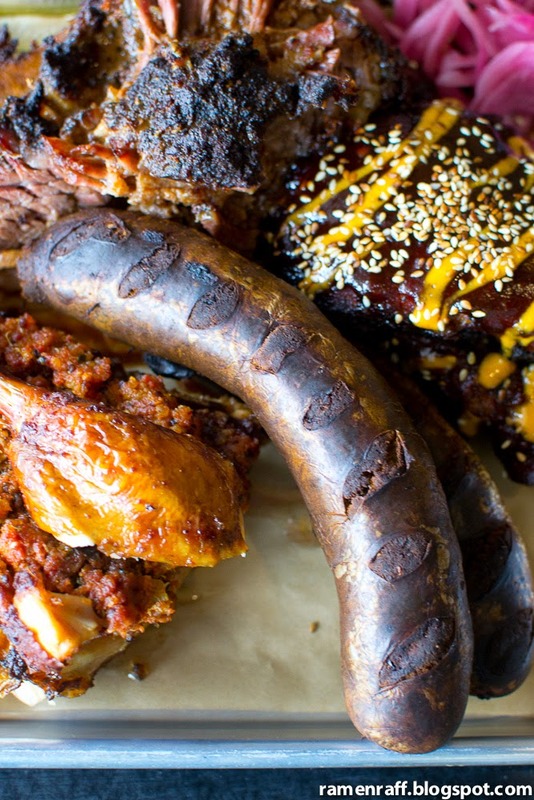 This super smoky snag had a blend of duck, beef and pork. We were so full after all of that. Sadly, our bellies didn't have room for dessert anymore. So we'll just have to return to try their ice cream sandwich right?! 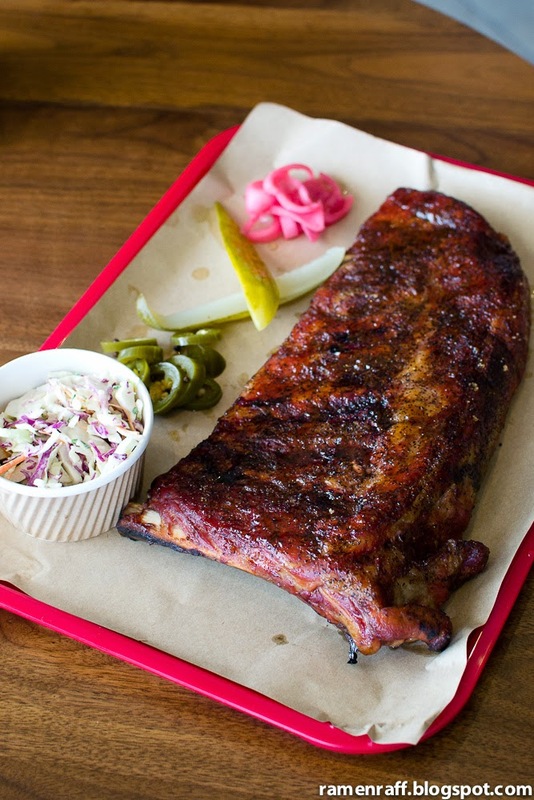 The awesome BBQ dishes with warm Southern hospitality style service will keep any homeboy and homegirl coming back for more! 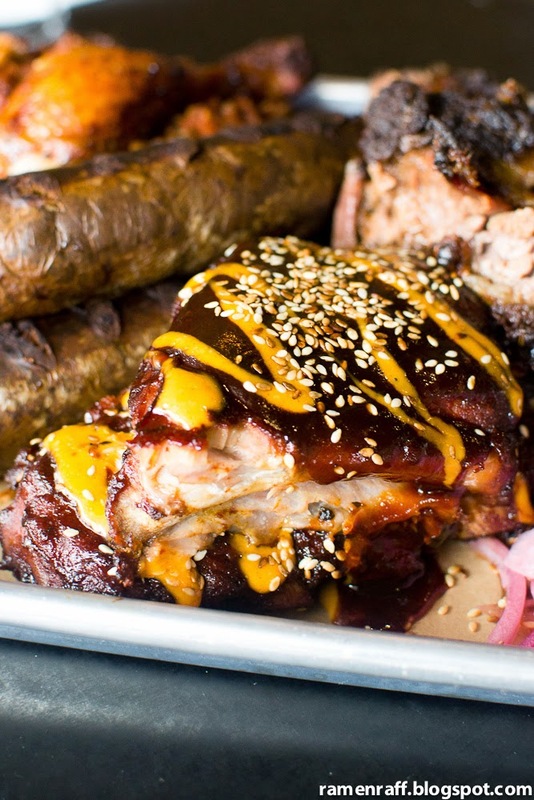 This fresh playa in the smoked bbq meats scene is definitely blazin'! I give big props to specialty coffee places that are deeply involved in the beans sourcing and roasting stage of their coffee. 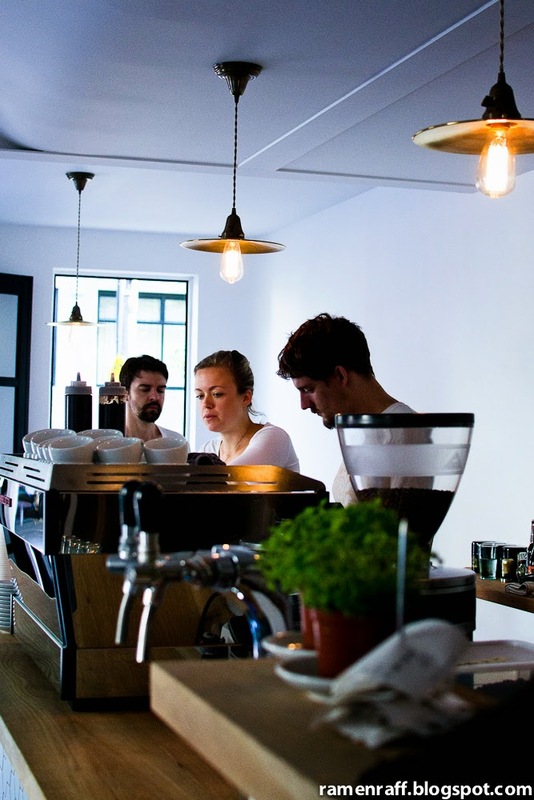 When something like that is combined with "Bro Power", a place like Edition Coffee Roasters comes to life. Bling bling! 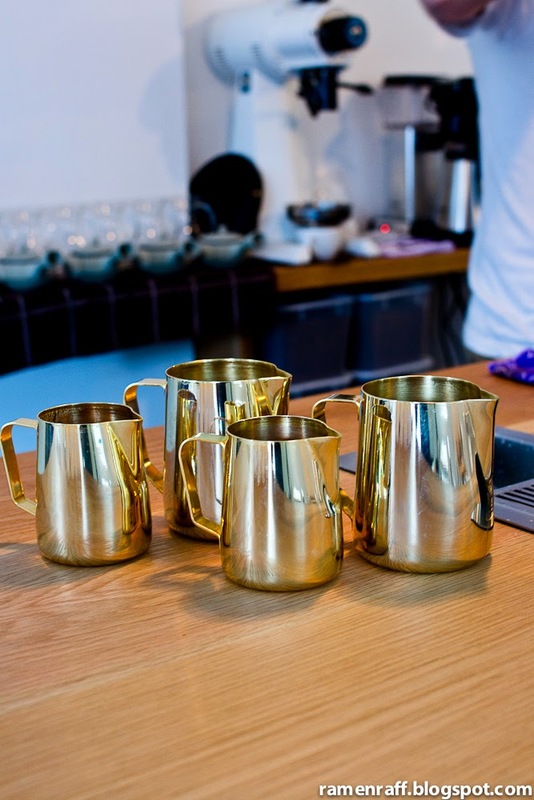 Gold milk jugs! 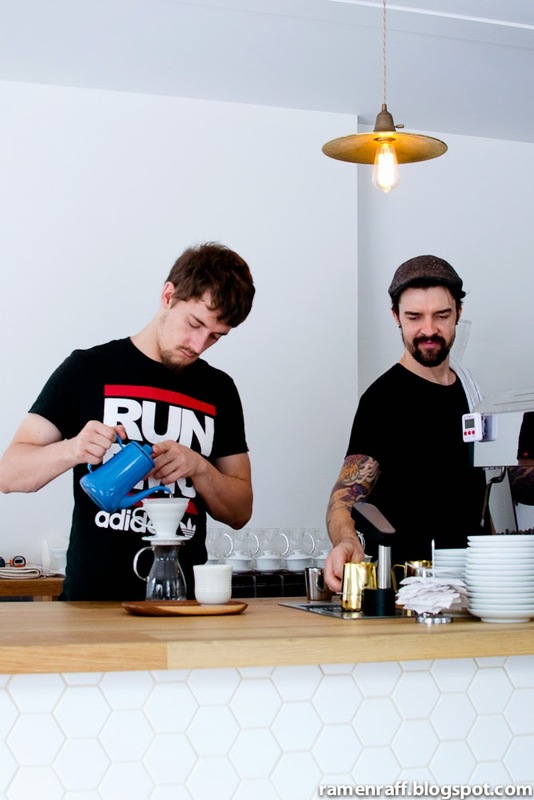 Edition is a partnership between brothers Corey and Daniel whom many of y'all would recognise from their extensive work in Sydney's coffee scene. I got really excited as soon as I heard word of their own cafe in the works. 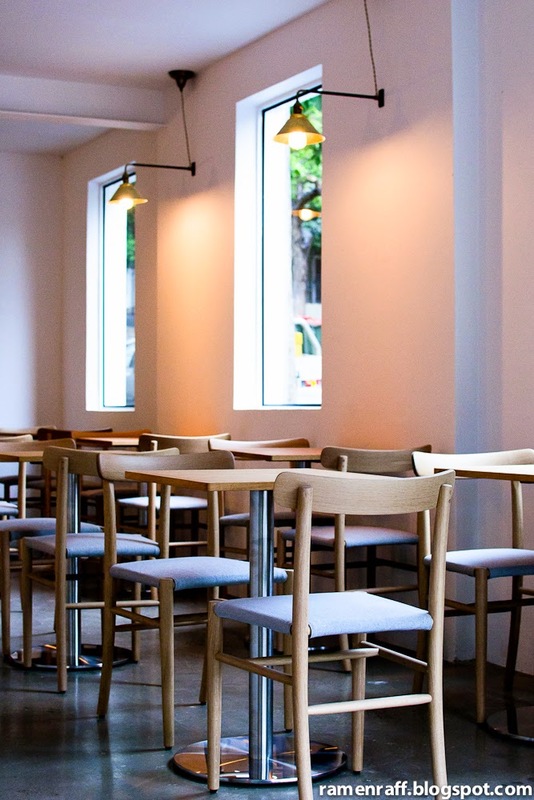 Dan and Corey's cafe fit out is Japanese and Scandinavian influenced. 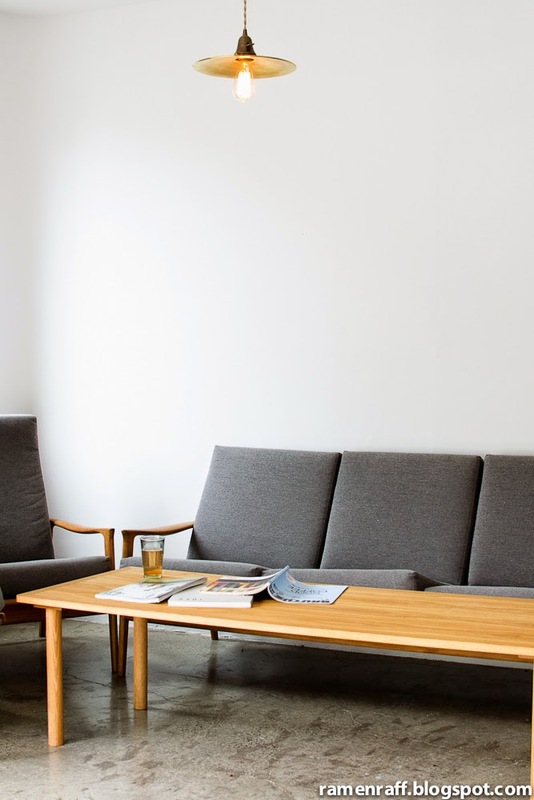 It allows a lot of natural light to enter the premises and the background music is pumpin' hip-hop jazz and Japanese hip-hop. All beans used for their espresso and filters are all roasted by them. 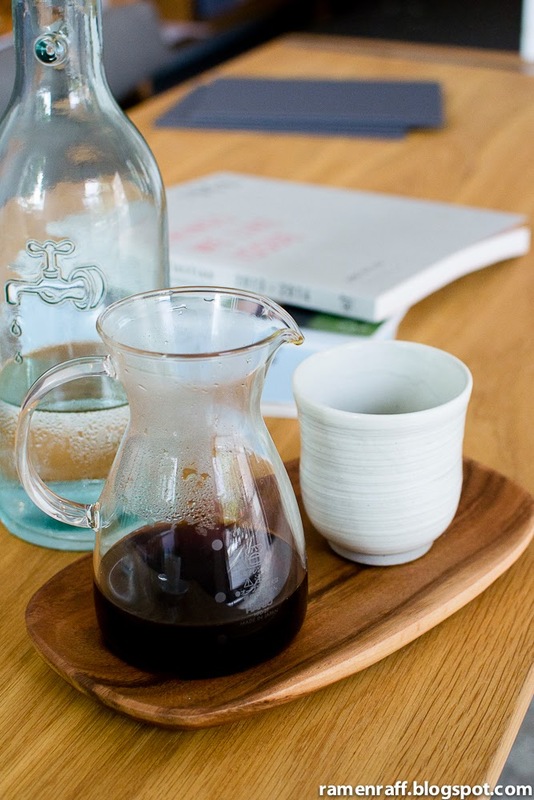 They got a range of brewing methods covered: pourover, batch, aeropress, cold brew and Japanese drip. All the pastries on the counter are made in-house. 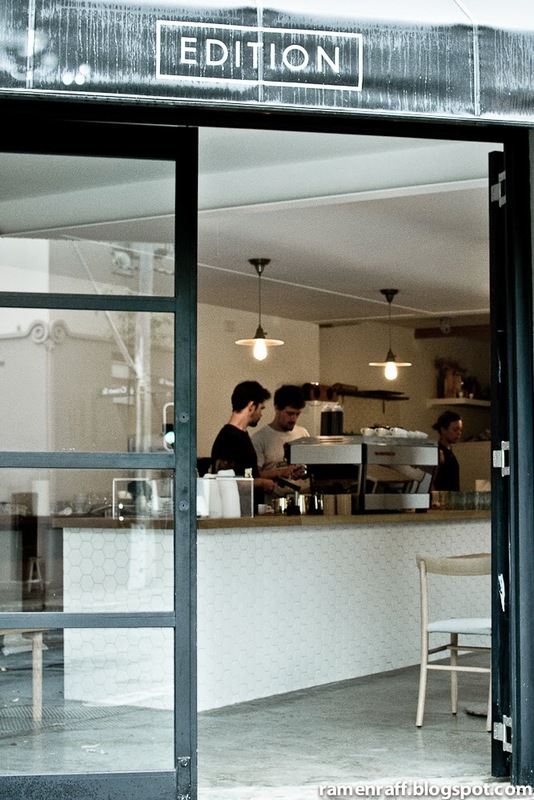 One thing that makes them stand out is that they don't serve blends for their espresso. Rather, an impressive single origin is used for milk-based drinks (which changes every fortnight-ish). 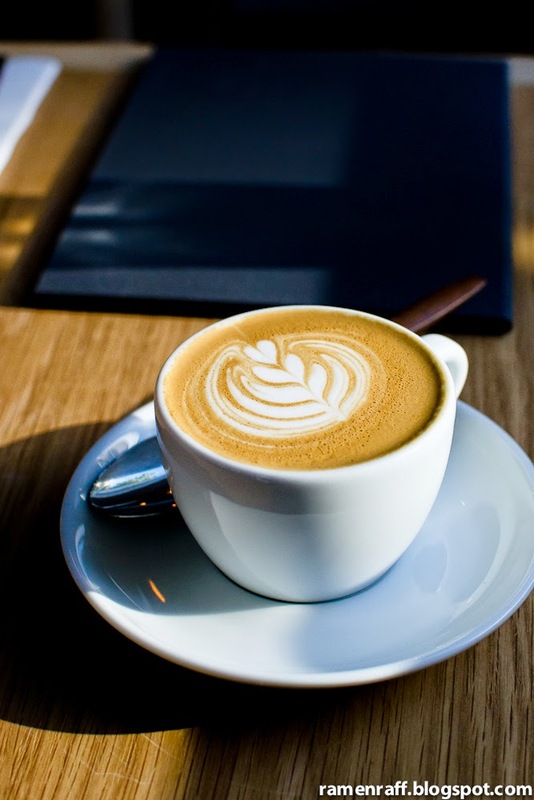 I had an Ethiopia Kochere for my flat white ($4). It had a medium to full body with big notes of guava punching through the perfectly textured milk. It wasn't even double ristretto! But a single espresso shot! I've never ever had or heard of a single origin with flavours that can punch through milk like that. 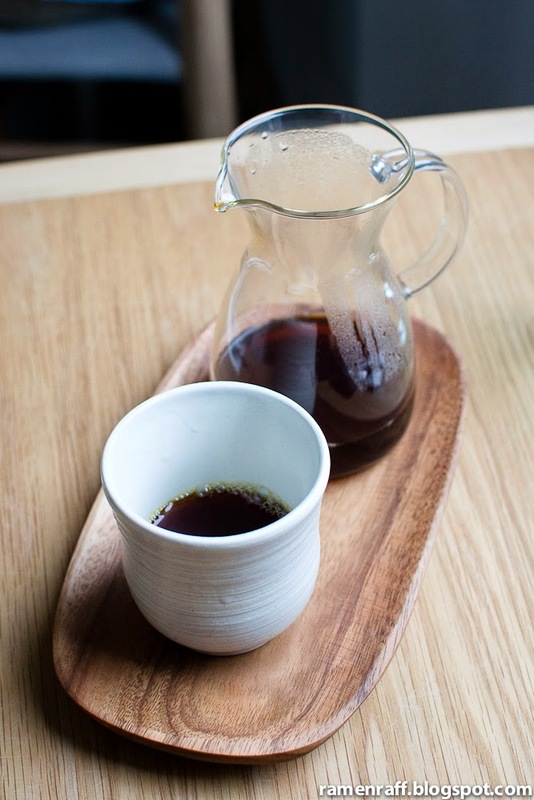 I've also tried their pourover ($6) and it did not disappoint! 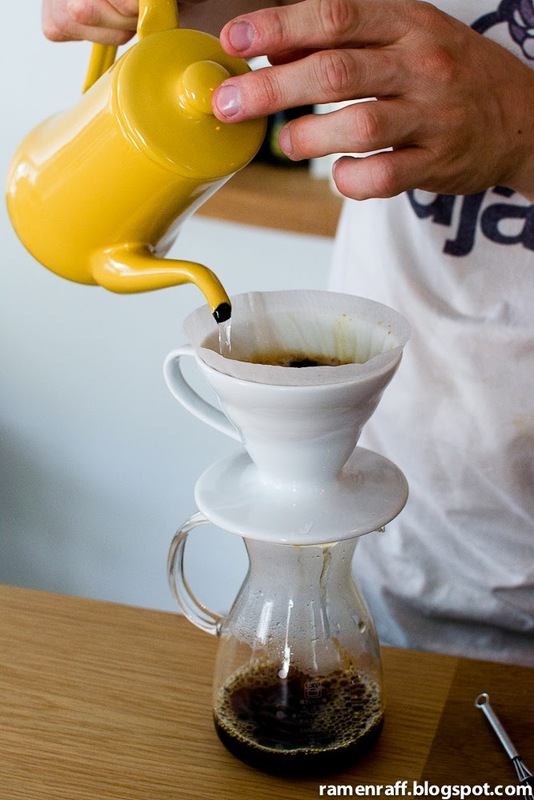 The Ethiopia Kochere had floral aroma and flavour notes of guava with hints of jasmine. The Kenya Mugaga was complex with honey and cola notes. 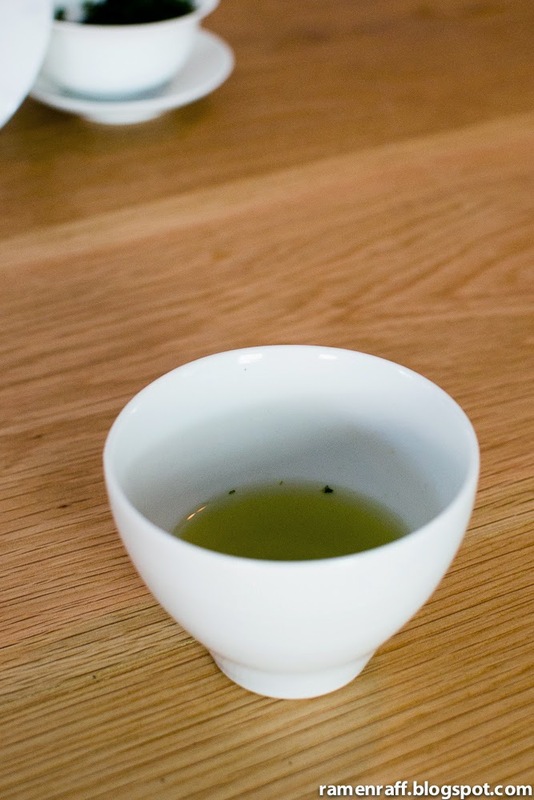 Another thing you can get here is high-grade Gyokuro tea ($7) prepared the authentic way. 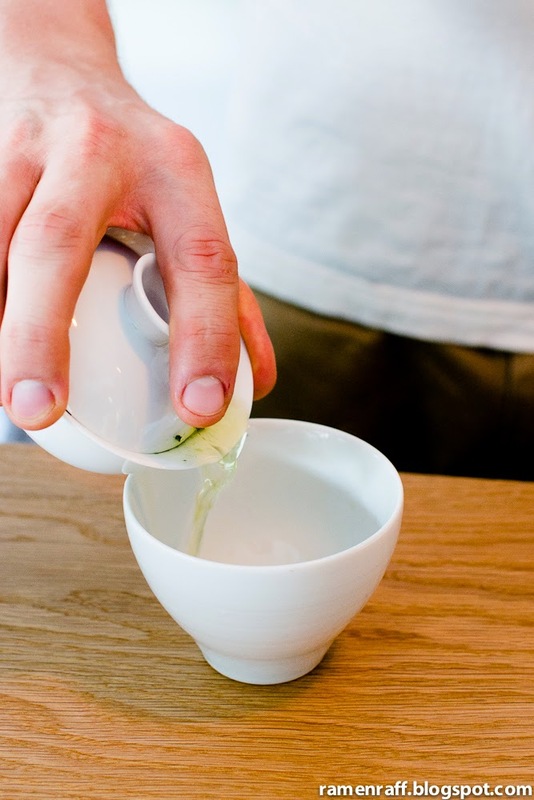 Corey used hot water with a temperature of about 79-80 degrees celcius to brew the tea. It can extract about 3 cups. The flavour was similar to matcha but sweet and minus any bitter after taste. 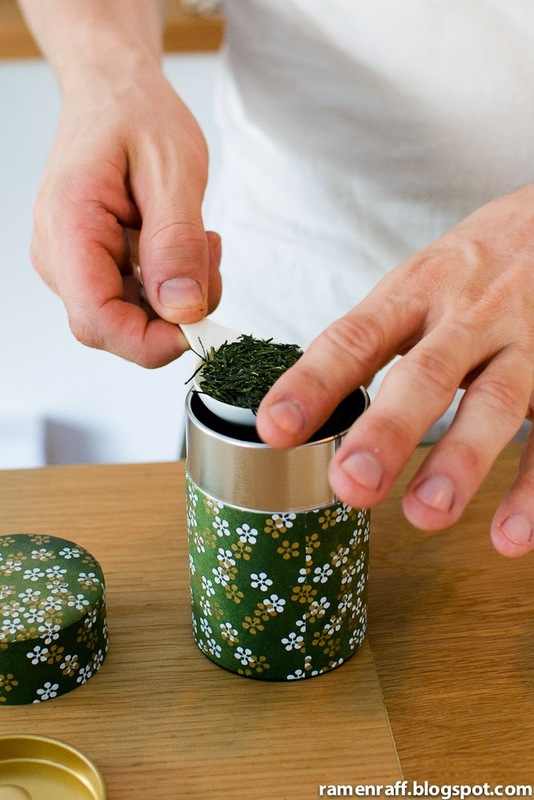 Gyokuro tea is served with Edition's housemade melt-in-your-mouth and sweet rakugan. 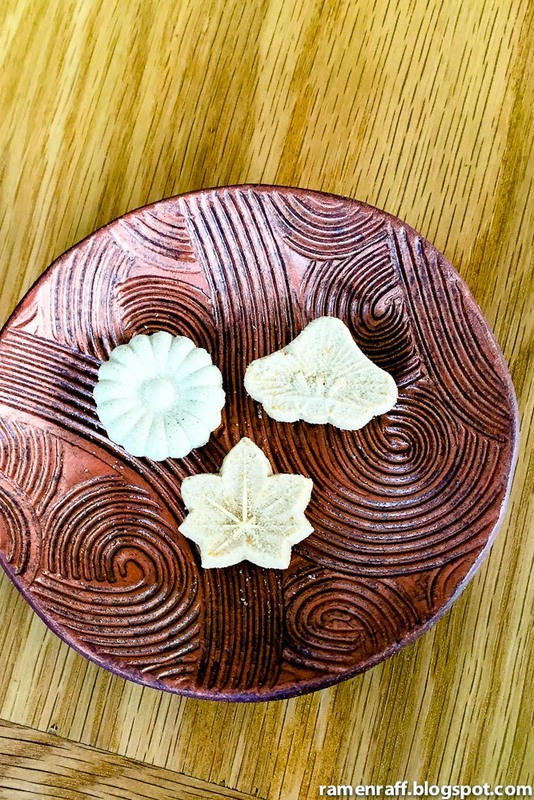 Rakugan are dried sweets that are traditionally served with tea in Japan. 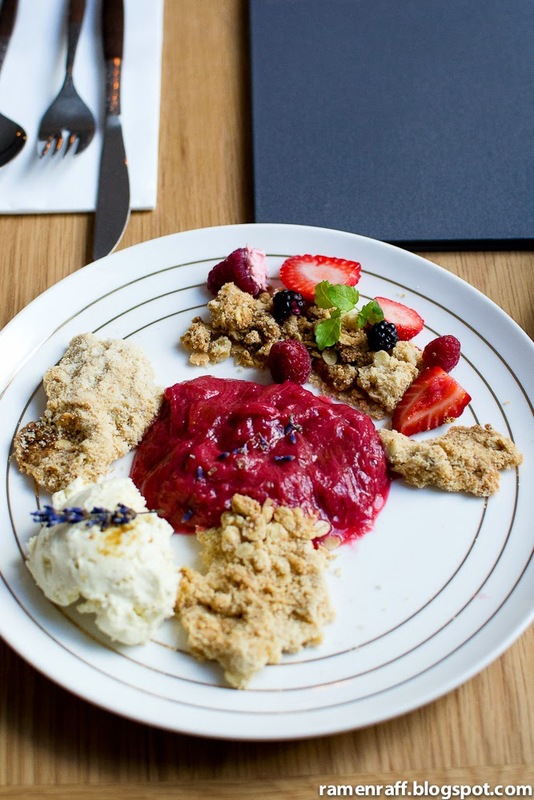 I've also tried their rhubarb ($7.50) based dish, which consists of poached sweet rhubarb, oat crumble, chestnuts and blackened rum cream. It was like an amazing deconstructed granola with addictive oat crumble and blackened rum that tasted like bold black sesame in a cream. 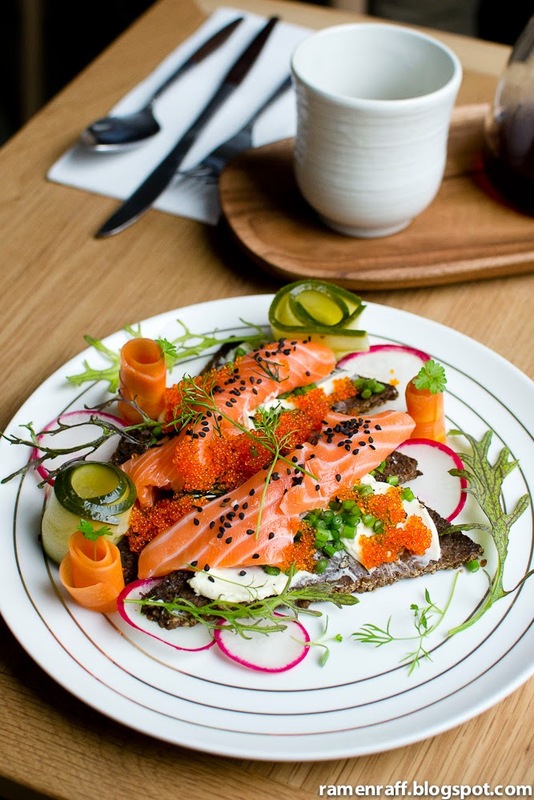 Their salmon smörrebröd ($17) which consists of smoked salmon, tiles of dense rye, Pepe Saya creme fraiche, housemade pickles, red radish and roe tastes as beautiful as it looks! It's a delicate dish with perfect harmony of flavours and textures. 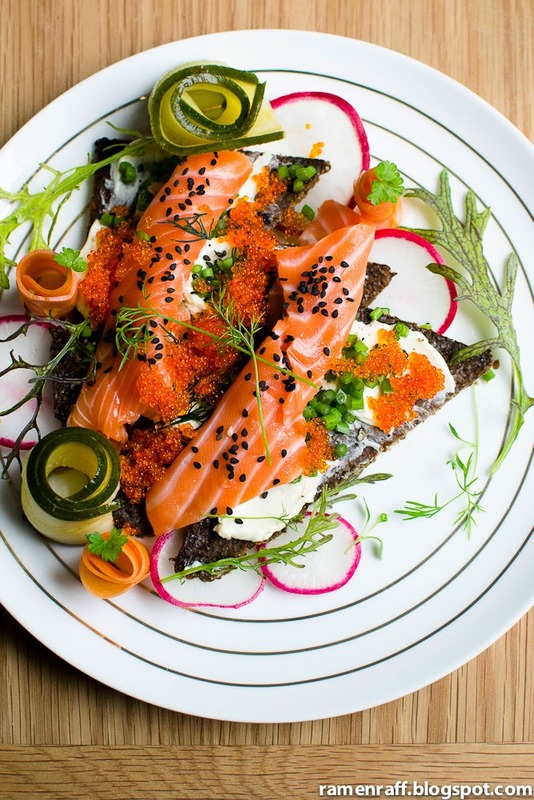 The smoky and silky salmon works well with the dense rye, the briny roe and creaminess of the creme fraiche. The pickles and red radish gives balance to the dish. I like that they are doing something different in the cafe scene but without going far out with their food. 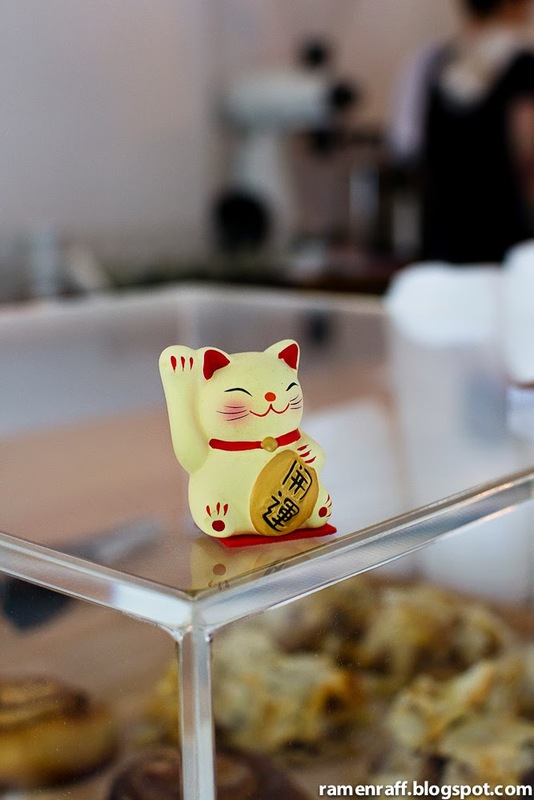 Edition is all about amazing honest coffee and food that is prepared and served with attention to detail. Congrats Corey and Dan! Edition Coffee Roasters will also be open throughout Christmas 2014 (Christmas day 7am to 11:30am) and New Year. There's more to the Sydney Fish Market than fish and other seafoods. 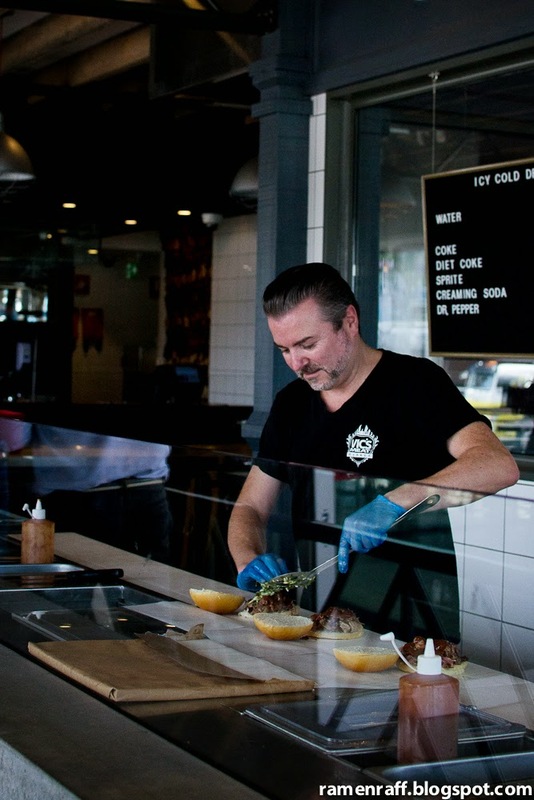 Months ago, the famed Victor Churchill of Woollahra has opened Vic's Meat Market! 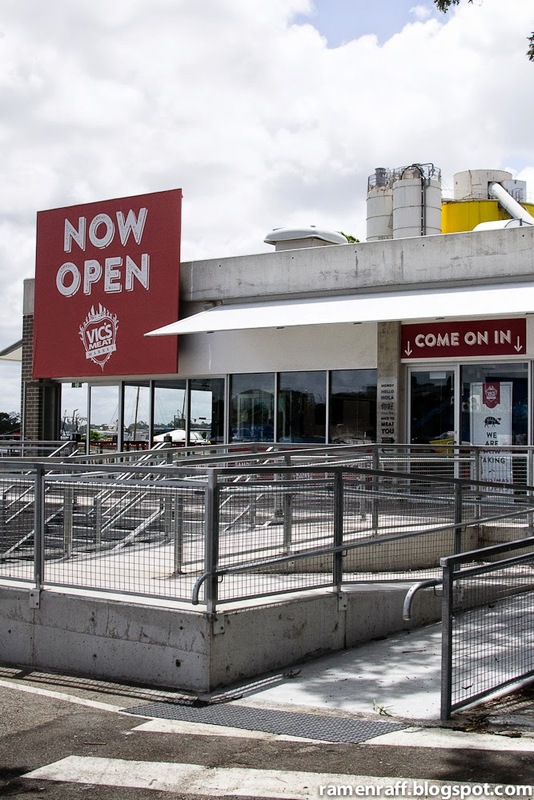 It's a new butcher and smokehouse joint located at the carpark entrance of the Fish Markets. They've got all your protein needs covered! 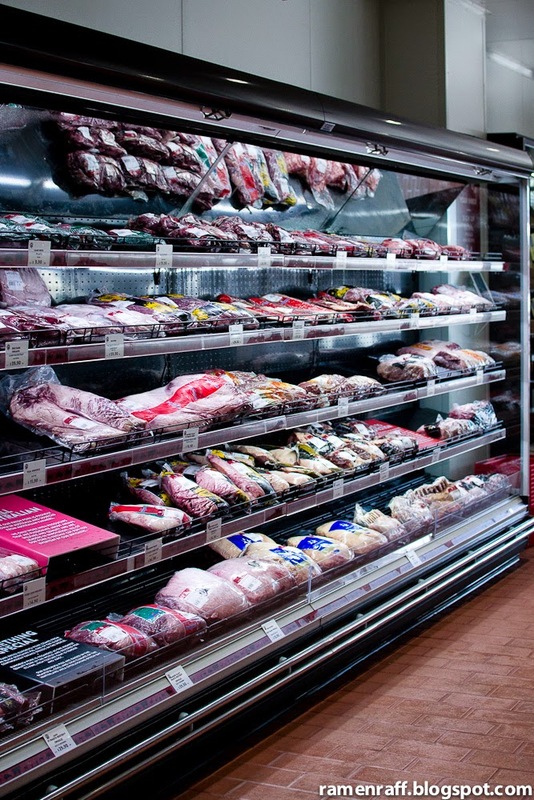 On the right side, you have a specialty butcher with huge range from wagyu steaks to ribs and sausages. On the left, they've got their smokehouse headed by the barbeque master Anton. 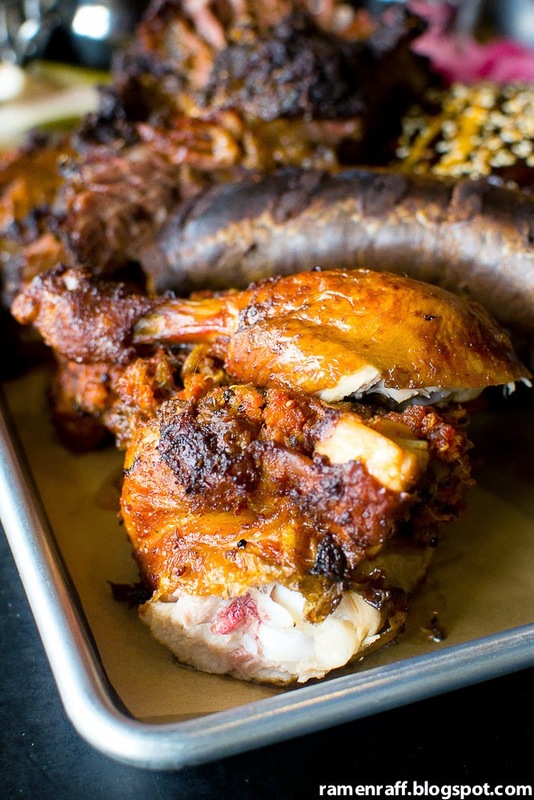 This area has ribs, wagyu brisket, chicken and more! All cooked low and slow in their massive smoker imported from Yoders Smoker in Kansas. 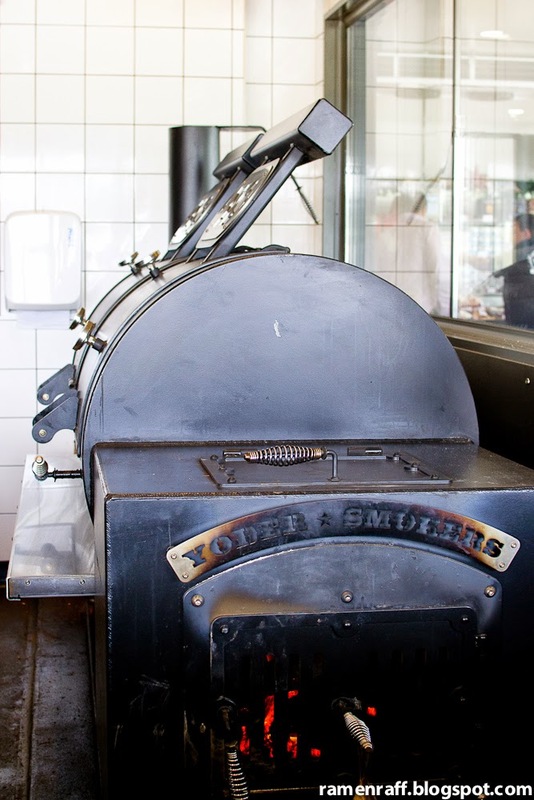 I visited Vic's with Chocolatesuze to try some of their delectable smoked barbecue meats. 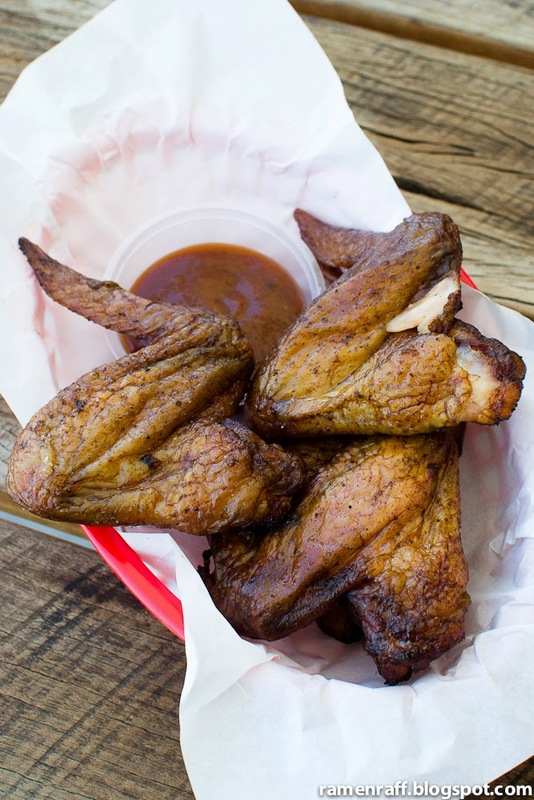 The chicken wings had an amazing smoky flavour and a nice crisped skin that was so addictive! I don't normally get smoked chicken as it easily dries up in the smoking process but their chicken wings were succulent! 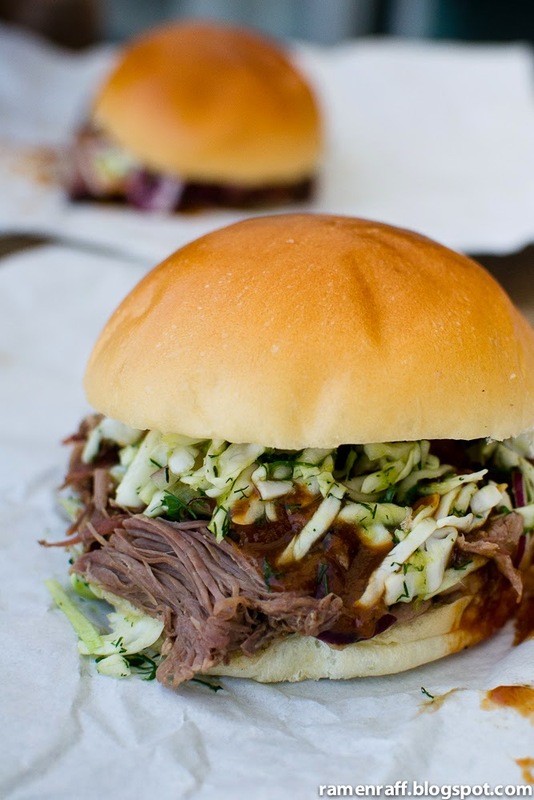 Their pulled pork sandwich ($10) came with a sweet and refreshing mustard pickle slaw. The pork was very tender and fatty. The barbecue sauce was tangy with notes of smokiness. 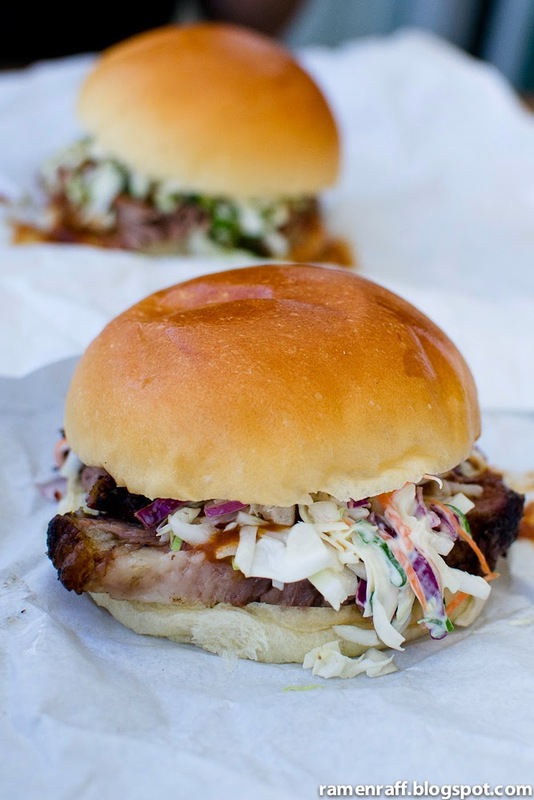 The familiar soft sweet bun handles the whole sandwich well. The brisket sandwich ($10) was insanely delicious! The meat was super tender, extremely fatty (that way it should be), juicy and packed with so much smokiness. 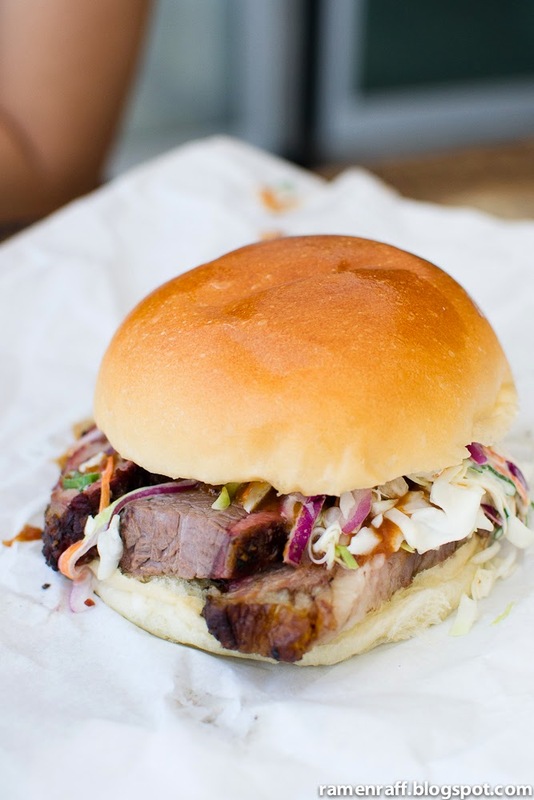 The slaw nicely offsets the richness of the brisket and the barbecue sauce adds a nice tang and kick. It was absolute bliss! Then I got to try the pork ribs ($40 full rack with slaw and pickles) on another occasion. It was done Kansas style with a dry rub. The outer layer had an amazing sweet and spiced peppery flavour whilst the rest of the meat was tender and smoky. Vic's Meats is one of those places I see myself going back to a lot in the near future. 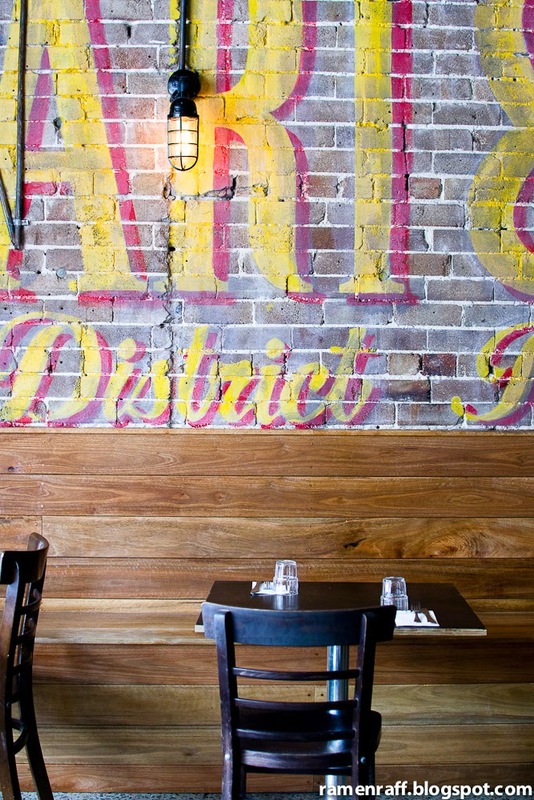 I would specially go back for their smokin' awesome wagyu brisket! 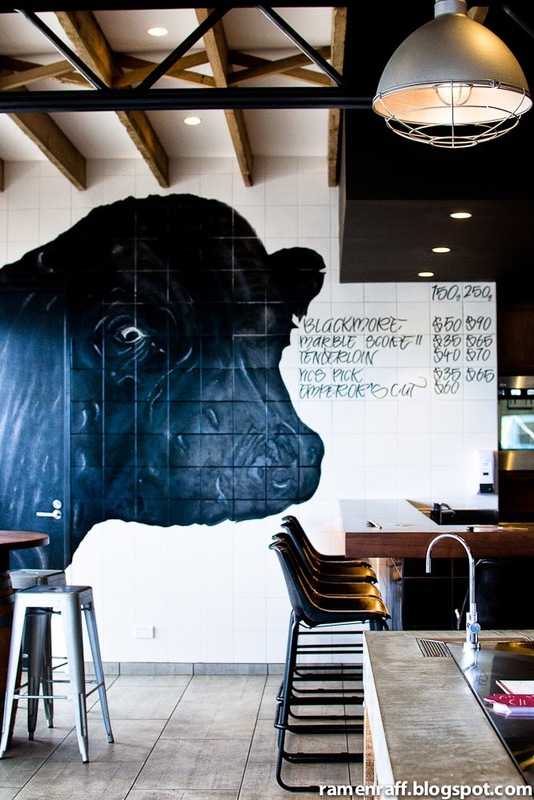 Vic Meat Market, it was soooo nice to "meat" you! Until next time!